Q1. Which drink traces its origin to “uisce beatha” (Scottish Gaelic) meaning ‘the water of life” ? Q2. In 1984 there were just 3 IIMs, A B & C. In 2011 there are how many IIMs ? Q3. ‘A diamond is forever’ was created in 1947 and named the greatest ad line of 20th century by Ad age. Name the brand. Q4. Who is the largest registrar for internet domain names globally ? Q5 .As per the EDS bill 2011 in how many years all govt of india services will be delivered electronically? Q6. Which US co. Owns the brands Diesel, Timberland, Ernemildo Zegna etc ? Q7. The question that got Sushil Kumar 5Cr in KBC. Which colonial power left India from Nicobar islands in 1868 ? Q8. From Dec 1 which indian city will be the only US consulate to accept and process L visas ? Q9. Which international ad group has acquired the controlling stake in MUDRA that used to pride itself as a rare indian agency ? Q10. Which global brokerage that runs a TVC claiming to guide thru the investing jungle is itself filing for bankruptcy ? Q11. Who once said ‘womens’ role is in the kitchen dressed in white like all other domestic appliances ‘? With this post , the WBQ completes 2 years. 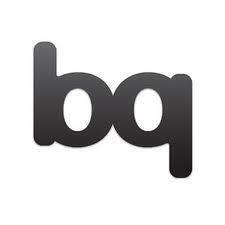 Watch out for the Best of WBQ – Annual shortly. This is just awesome keep going on and on..